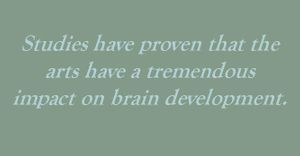 Continue to develop arts programs and events to encourage and support, through education, increased awareness and individual validation. Supporting and promoting the arts bring many benefits to the community and our region. They enrich the daily lives of our citizens, connect diverse groups and cultures, and create a sense of place and pride in our Appalachian heritage. The arts are significant contributors to economic development by making communities a more attractive place to live, work, and for tourists to visit. These activities bring value-added dollars into our community. events, activities and art forms. Several art exhibits and musical performances are presented annually, many in local venues. Art displays, hands-on activities, demonstrations, and narrative and foodway stages are featured by the EAC at the Mountain Mushroom Festival. The council has hosted “Music in the Park”, Arts on Tour grants featuring prominent Kentucky musicians, and provided artist residencies in the school. 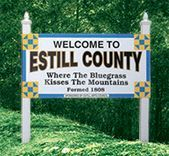 Tourism is promoted through signage welcoming visitors to Estill County. 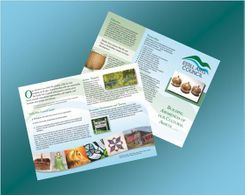 The Quilt Trails and web site support visitation throughout our community and educate the public about one of the state’s most loved and traditional craft forms. The Mountain Mushroom Festival is one of the region’s most important and well-attended events. of the Kentucky Arts Council (KAC). EAC has been an active participant in the Community Scholars Training Program, which provides valuable services identifying and documenting the culture and traditions of our citizens. Professional development workshops have been hosted over the years on a range of business topics for artists, board and leadership development for arts groups, and the public.